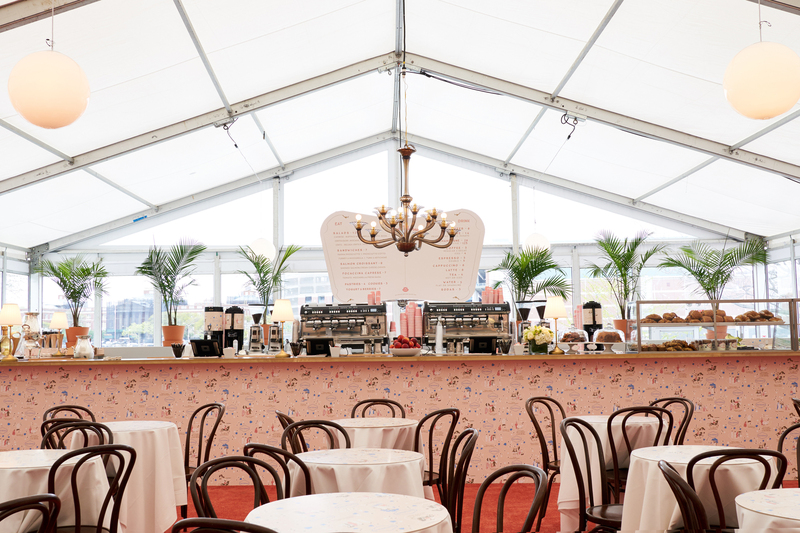 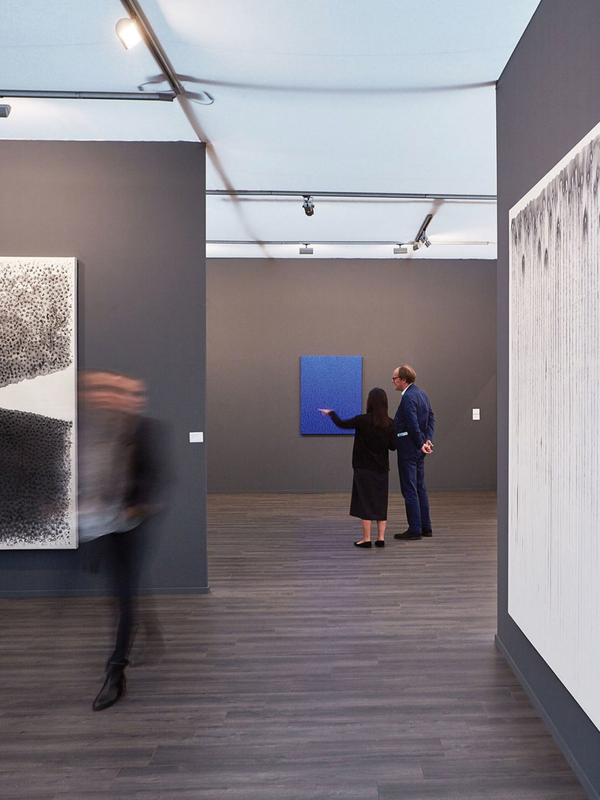 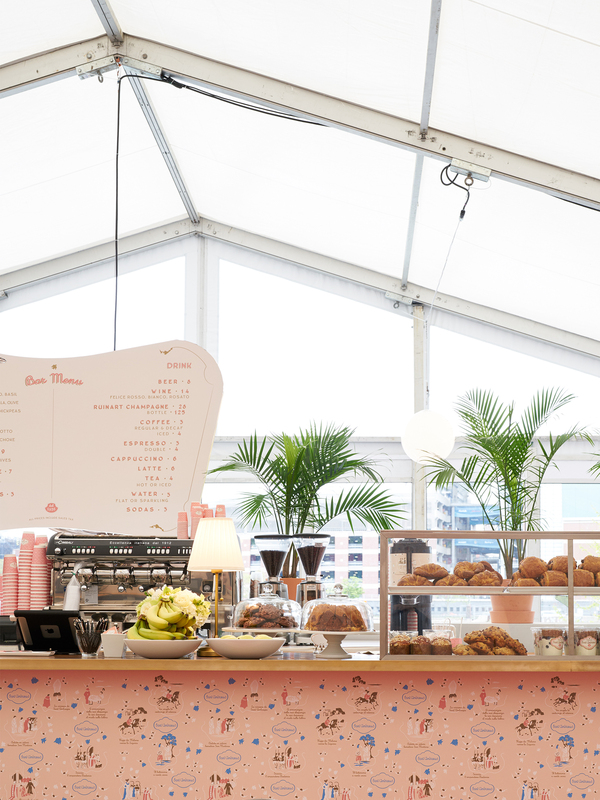 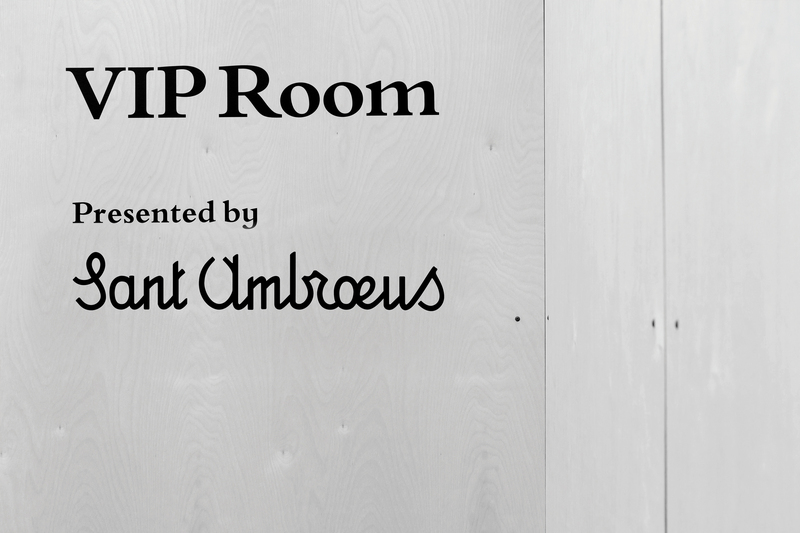 The VIP Lounge at Frieze New York is an immersive Sant Ambroeus pop-up created with Revolver New York & Studio Robert McKinley. 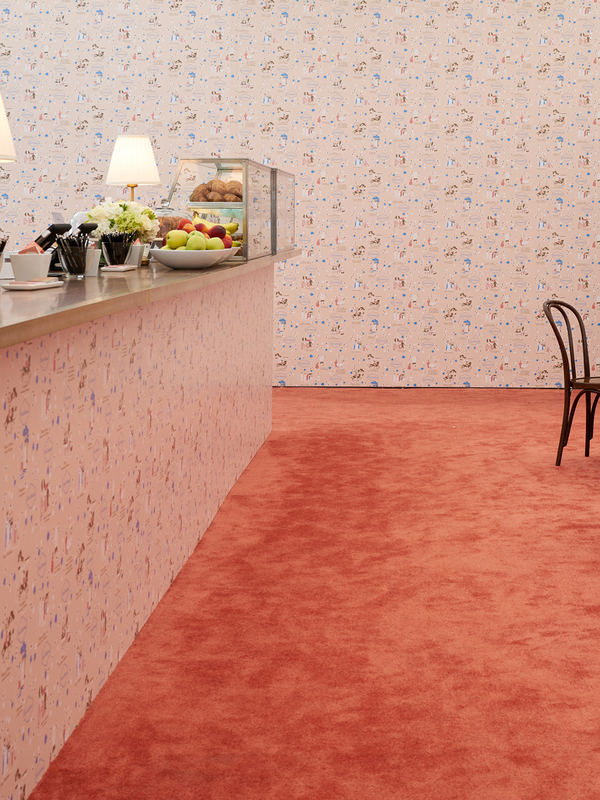 1: Re-interpret a pattern original to the first Milanese location of Sant Ambroeus into a wallpaper. 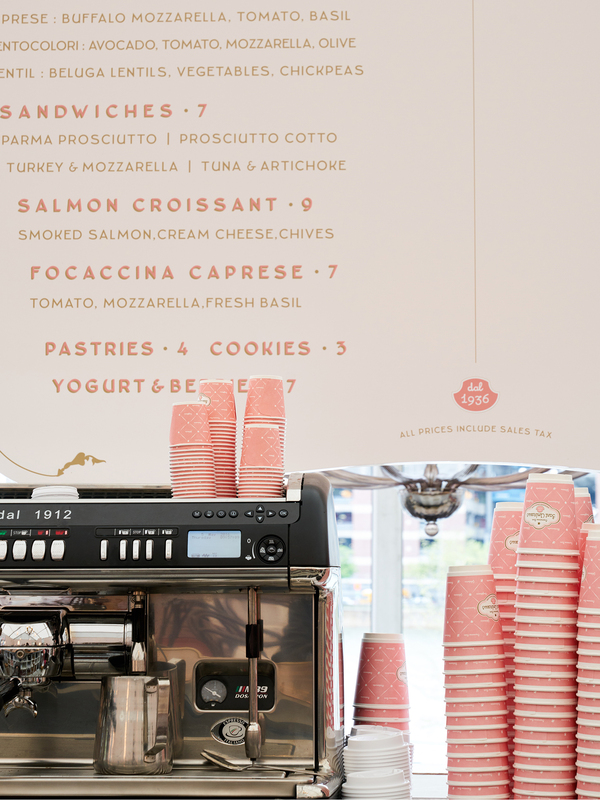 2: Design, produce and install a floating menu board, serving as the centerpiece of the room.